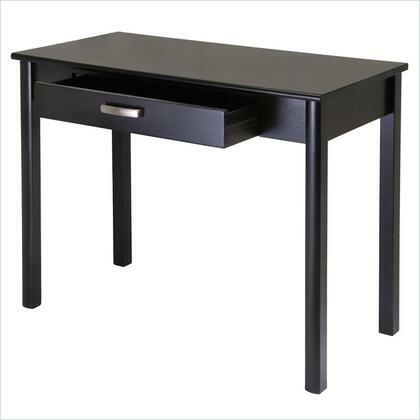 Solid Wood Writing Desk with one drawer from the Lido collection of home office furniture. 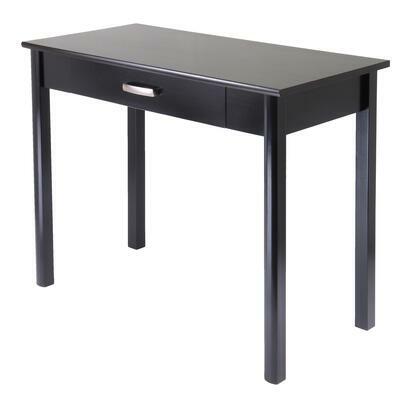 Dimensions are 42"L x20.5"W x 31.1" H allowing this piece to be aligned with the printer stand, corner desk, file cabinet and desk with keyboard drawer. Rich Espresso finish compliments any decor. The desk ships ready to assemble with hardware and tools included. I needed a very small work area for my apartment. 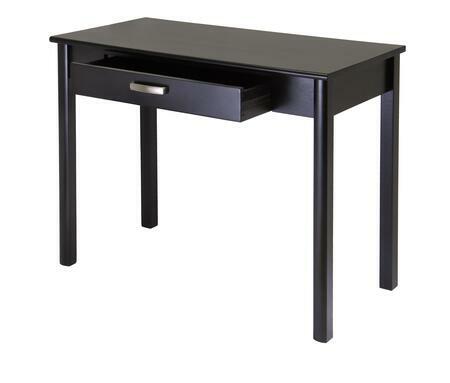 I couldn't buy myself something big because I have very little space so this black desk was percect for me.